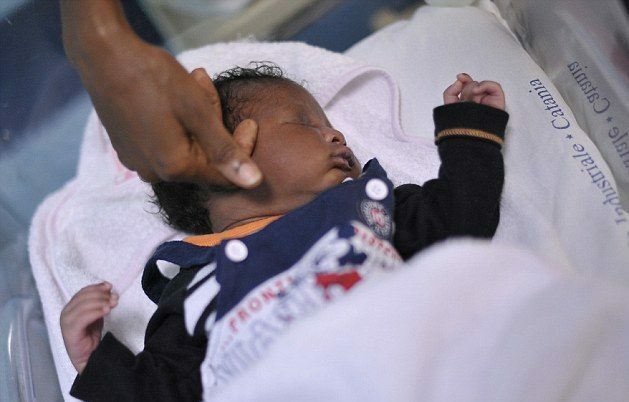 It was a mixed feeling of sorrow and joy for one Mrs. Rachael Okonkwo, after she was delivered of a baby boy two weeks after her husband, Igwe, died after a long search for a male child in Lagos. Source reports that the incident happened at Oboye Street in Ejigbo, Lagos, where they resided. It was gathered that the late Igwe had been married to Rachel for several years but they had no male child. They sought for both medical and spiritual solution to no avail and they resolved that it was their fate. However, late last year Rachael suddenly became pregnant to the surprise of the couple and the husband ensured that he took care of the wife and the pregnancy. But two weeks to the date that the doctors had told Rachael that she will be delivered of the baby, her husband fell sick and was taken to hospital. The doctors attended to him but the sickness later became worse and he died in the process. The corpse was deposited at the mortuary, a date was fixed for his burial and the wife travelled to their place in Ebony State for the burial. While Igwe’s burial was going on, the wife felt slightly ill, was rushed to the hospital and she was delivered of a baby boy. The incident attracted a lot of reactions from their neighbours in Lagos as they described it as a mixture of joy and sorrow for Rachel. According to them, it might be considered a thing of sorrow for Rachael because of the death of her husband but also as something joyful because of the new baby boy. Some insinuated that there might be some kind of mystery behind the pregnancy and baby; that may be the man was not destined to have a male child while alive.